The day started with blue skies and sunshine but unfortunately that didn’t last as a layer of cloud came in at around summit level. 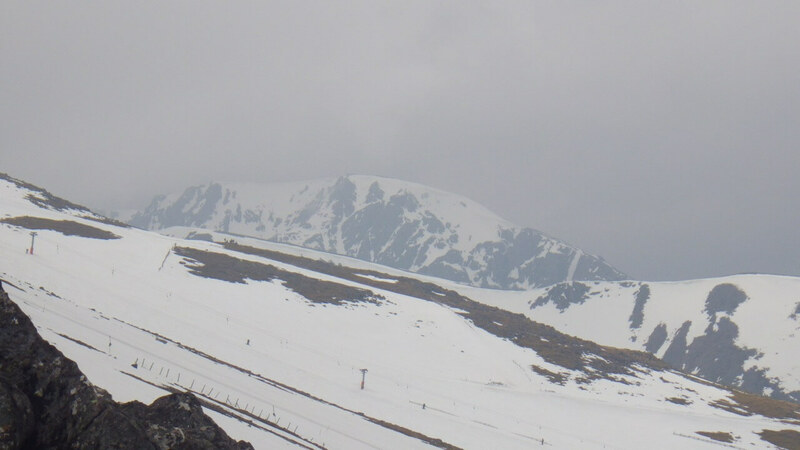 There was soft spring snow on all aspects and at all altitudes. The snowpack is slowly melting in the warm temperatures and this is expected to continue. Some areas which only had a thin covering of snow are now bare but much of the snow cover is deep and will persist for a long time even in the warm conditions. 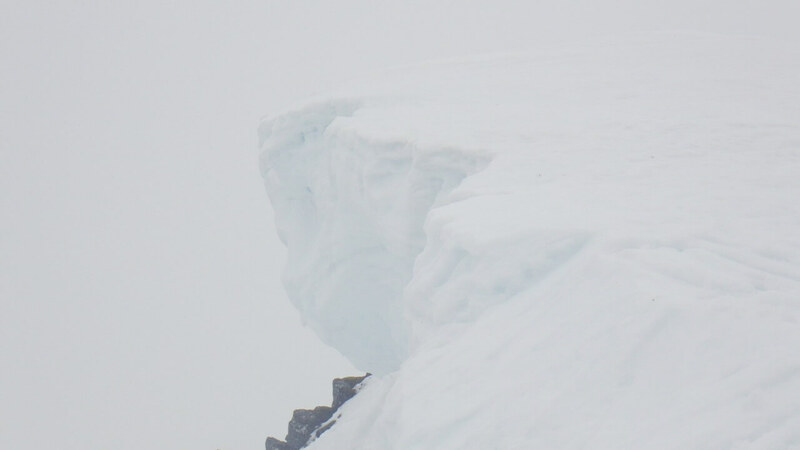 Many cornices remain, as can be seen in several pictures below, and are prone to collapse. This will be the last Blog and Avalanche Forecast for this season. Enjoy the remaining snow! Great weather to start the day. Looking up the Goose at Nevis Range. This cornice above Coire an Lochan has slumped but not fully collapsed. 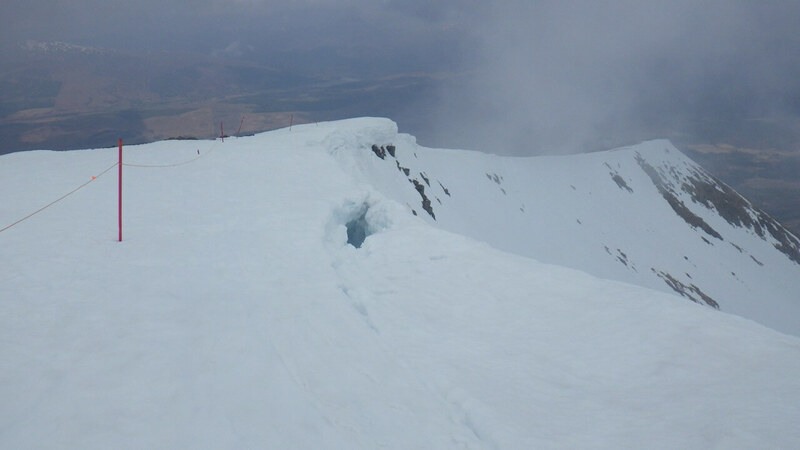 Cracks developing behind the cornice on Easy Gully, Aonach Mor. 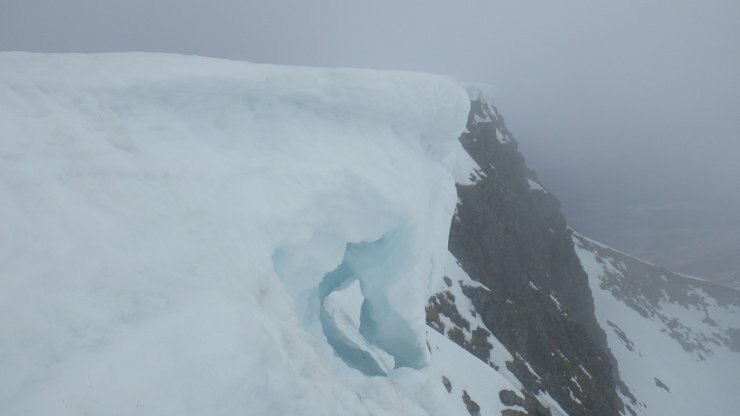 Some unstable cornices above Coire Dubh, Aonach Mor. Some of the remaining cornices are large! 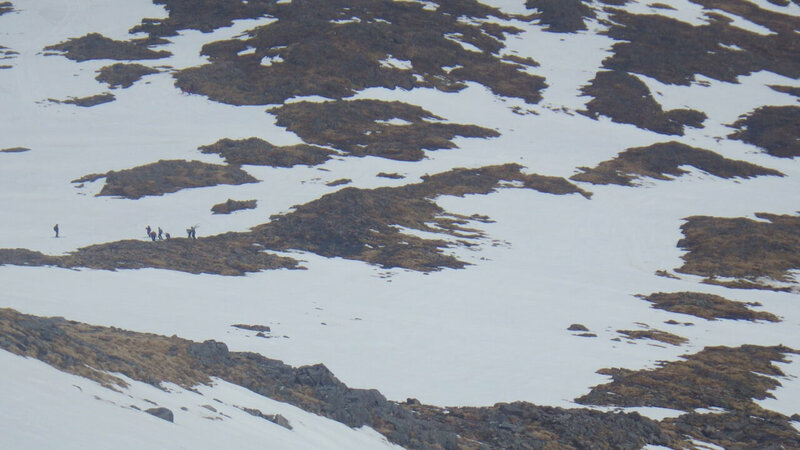 Good snow cover remaining in Coire Dubh and beyond. 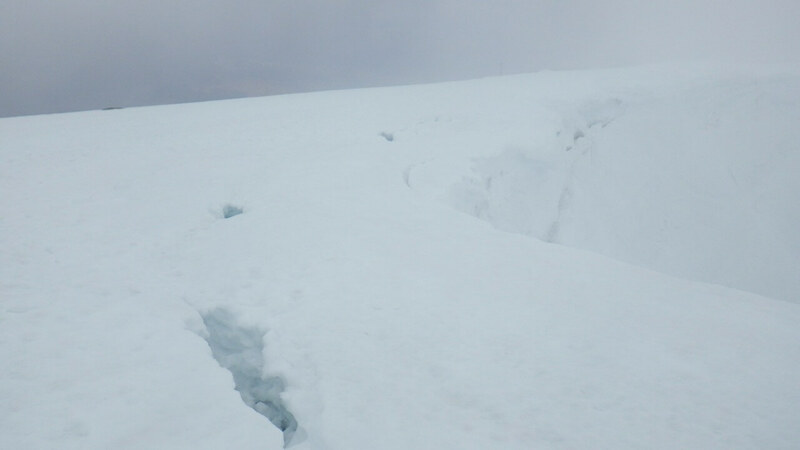 Getting out of Coire Dubh is starting to get more difficult if you want to stay on the snow. 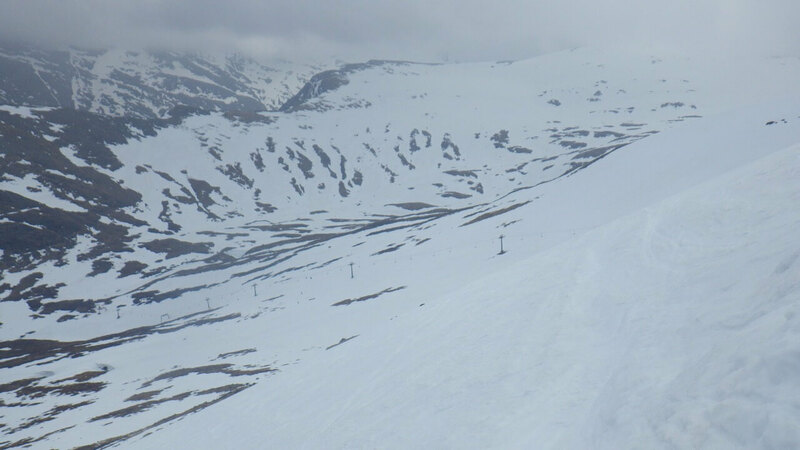 Looking towards Carn Dearg, Ben Nevis. 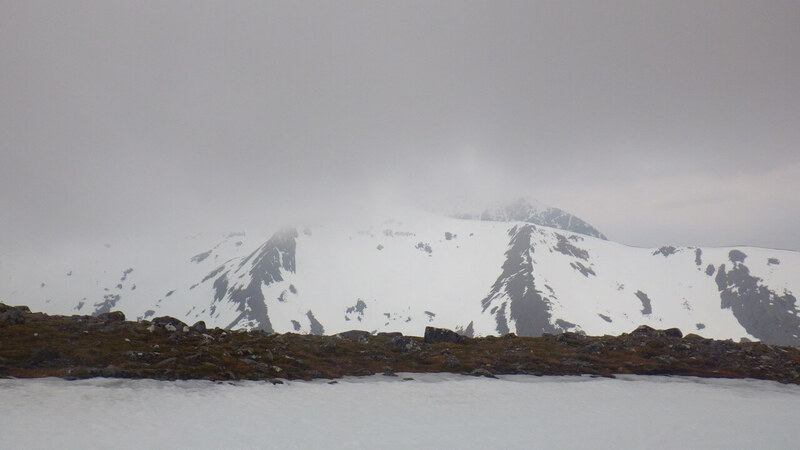 Carn Mor Dearg summit in the cloud. 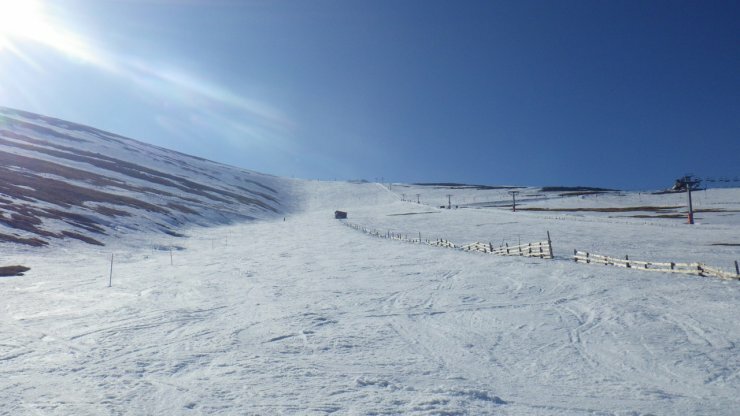 Thanks for the brilliant pics and fantastic snow info.